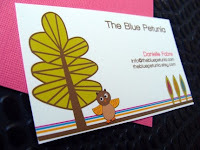 This Crazy Life...Michelle Underwood Designs: **CLOSED**The Blue Petunia giveaway! I have degrees in both Graphic Design and Fine Art. I started selling on Etsy August 2008. It's nice to be in a place where people appreciate and understand the time designers and artist put into their work. 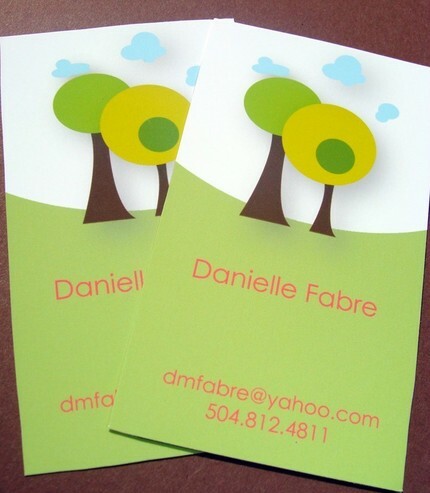 Looking for business/calling cards, magnets, product tags, etc? The Blue Petunia has a great selection for all your needs! I was so excited when I spotted this shop! 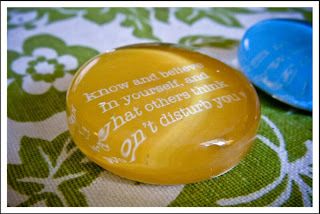 Sometimes I need a little quote to remind me that it's all going to be okay...and The Blue Petunia magnets do just that. They make me happy. Each magnet features it's own quote. You can choose 3 from the set of 12. Want more? Check out the set of 6! These magnets are perfect for your refrigerator, locker, dry eraser board, filing cabinet, washer and dryer, or anything that magnets cling to! 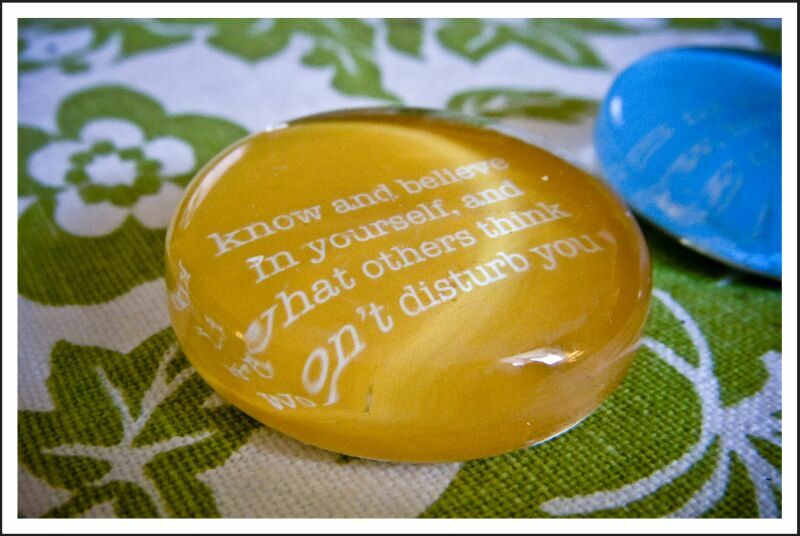 THE BLUE PETUNIA is giving one winner their own set of 6 inspirational magnets! 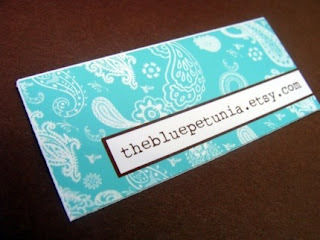 1 entry- Sign up for The Blue Petunia's RSS shop feed on etsy. I LOVE the paisley tags! i love the orbtastic business cards! I really like the cubie cards-flower swirl-set of 250. Love the lonesome bird design! 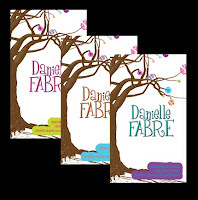 I love her whimsy forest design! Loving the Quote Magnet set of 6 brights!! i like the damask address labels! I really like the Paisley Tags. They would be great to use as price tags for an upcoming craft fair! If I ever needed business cards, I would definitely go with the Swirl Tree design - it's super cute! I love the orb tree tags! I like the flower swirl cubbie cards! I like the Cubie Cards-flower power-set of 250. 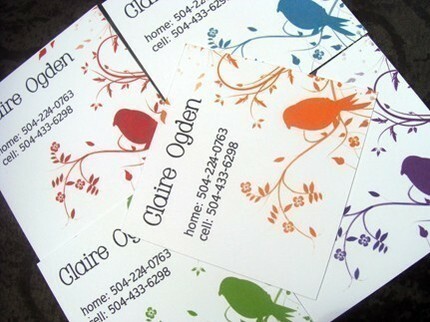 I also like the Lonesome Bird Calling Cards. I love the 12th magnet choice, the one that says "live as if you were to die tomorrow learn as if you were to live forever"
I like http://www.etsy.com/listing/45620328/colored-squares-tags-250 :) so colourful! 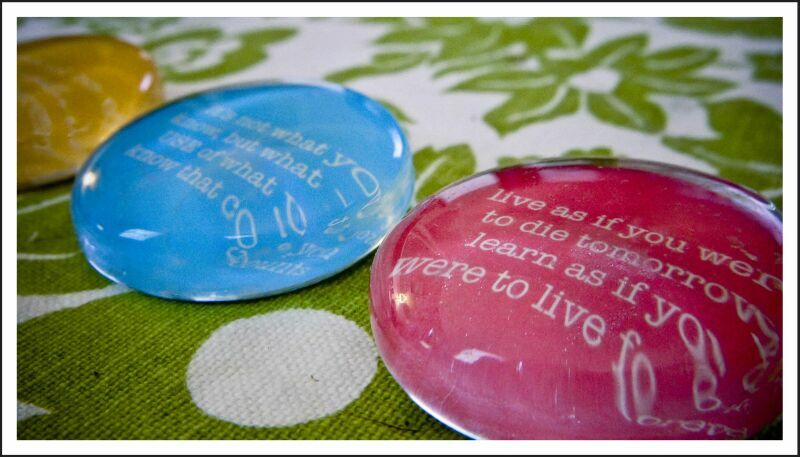 and of course I love the quotes on the magnets! I love the cubie cards-flower power-set. 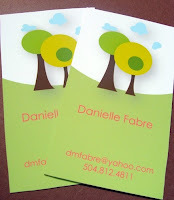 I love the "Damask Round cards' & the "Damask Address Labels"
They are both so elegant and sophisticated! I love the Girly Initial Address Labels, these are really sweet and comes in so many pretty colors. Thanks for the lovely giveaway. I like the Happy Tree Set. 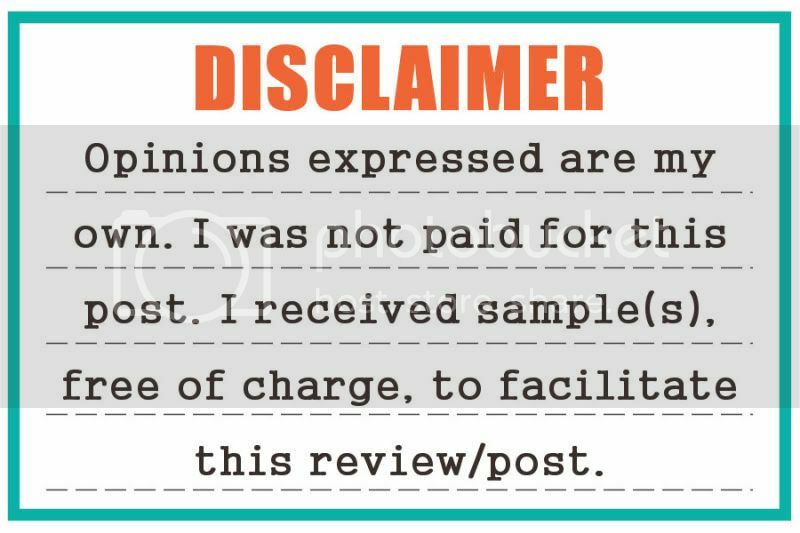 I follow you with google blogs. I love the little birde told me business card. My favourite item is the "PAISLEY-TAGS-250"
Entered the "BUZZABEE giveaway", thanks! I like the girly initial set in lavender. I entered the buzzabee giveaway. I entered the I sew lucky giveaway. I like the little birdie lables! 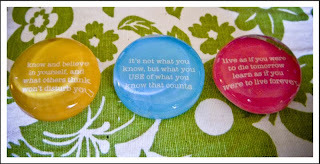 I like the Quote Magnet set of 6 - brights. I entered Lucky Accessories Giveaway. I signed up for the blue petunia feed on etsy. 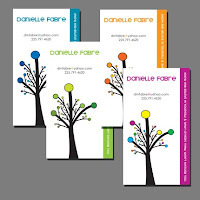 I like the cubie cards-striped-set of 250. 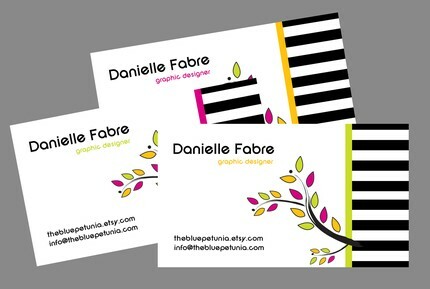 I love the cubie cards-zebra-set of 250. I like the damask round set. I like the little birdie labels, super cute!